Fortifying conditioner smoothes away tangles and normalizes your hair's pH to prevent brittleness and fading. Perfect for gray or blond hair. Tantalizing Almond Apricot scent! 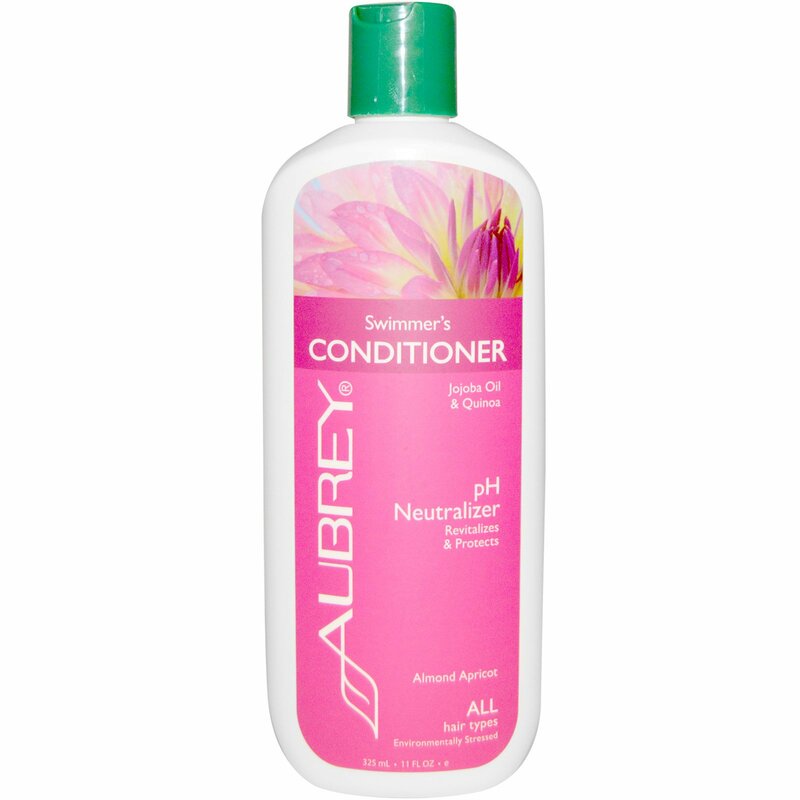 To Use: After shampooing, apply to damp hair and work through, concentrating on the ends. Leave on for 1 or 2 minutes. Rinse. Aqua, cetyl alcohol (from coconut), aloe barbadensis leaf juice*, alcohol denat. 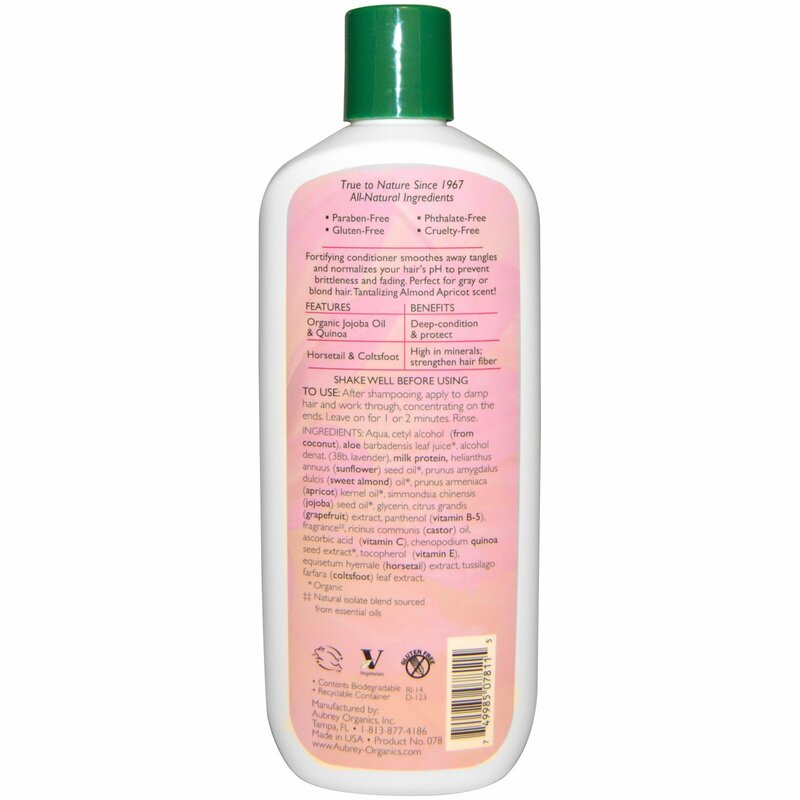 (38b, lavender), milk protein, helianthus annuus (sunflower) seed oil*, prunus amygdalus dulcis (sweet almond) oil*, prunus armeniaca (apricot) kernel oil*, simmondsia chinensis (jojoba) seed oil*, glycerin, citrus grandis (grapefruit) extract, panthenol (vitamin B-5), fragrance‡‡, ricinus communis (castor) oil, ascorbic acid (vitamin C), chenopodium quinoa seed extract*, tocopherol (vitamin E), equisetum hyemale (horsetail) extract, tussilago farfara (coltsfoot) leaf extract.